Welcome to the Town of Scotland Neck on-line. We are located in the southeastern section of Halifax County. Scotland Neck serves as an employment, retail, banking, medical, dining and cultural center for the entire southeastern portion of the county. We are known for our wide main street with center parking, beautiful crepe myrtle trees and very friendly people. We are proud of the fact that we do not have a stop light in town and it is because everyone drives with caution and courtesy. Come to Scotland Neck and you will find a land of unspoiled beauty. The quiet, scenic Roanoke River winds its way just eight miles North of town. The Roanoke River lures those who enjoy fishing, hunting, boating, camping, birding, and the great outdoors. You will also be reminded of our blessed good fortune in having well-maintained community facilities, such as the Scotland Neck Memorial Library, Municipal Complex with a 714 seat auditorium, Senior Citizens Center, Police and Fire station , public and private schools, EMS station, Halifax Community College Satellite site, Wellness Center, Scotland Neck Family Medical Center and Hospital. We invite you to visit us and see what you have been missing. Come spend a day or spend a lifetime. Proud of Our Past and Excited about Our Future. We, the Town of Scotland Neck, are committed to providing a comprehensive range of quality municipal services using both efficient and cost effective means to insure that our community is safe, healthy, attractive and dynamic for both our residents and visitors. We will always conduct our operations in an open and ethical manner in order for equal access and fair treatment for all of our citizens. The Town of Scotland Neck, will maintain a flexible and proactive posture that supports the goals and priorities which have been mutually adopted by the Board of Commissioners, staff and citizens. We will continue to encourage and support the active participation of our citizens in achieving and maintaining excellence in our local government. Our Scottish roots are reflected in our name. In 1722 a colony of Scotch Highlanders led by Lord Nairn settled in the "neck" of the Roanoke River. The name Scotland Neck first described the small communities that clustered around this original settlement. Nearly 150 years later, a progressive citizen named John Hyman adopted the name for the town he was to establish in this thriving area of commerce. Scotland Neck was officially incorporated in 1867 and work began creating the spacious avenues and tree-lined median of the north and southbound lanes of Main Street. Today this historic median is festooned with glorious crepe myrtles that bloom each summer, a sight that welcomes thousands of visitors to Scotland Neck's annual Crepe Myrtle Festival in August. Live music, craftspeople with their wares, food and drink entertain the visitors, guests and home folks who fill our streets. However, this festival is just one highlight in a town that values civic involvement. Kiwanis, Lions, Junior Order, Masons and other civic groups take pride in annual projects that add value to the community. These clubs are joined by Baptist, Methodist, Episcopal, Presbyterian and Catholic churches working together to broaden Scotland Neck's base of support, attracting people of all backgrounds and denominations to the community. Come to Scotland Neck and you will find that not far from the crepe myrtles on Main Street is a land of unspoiled beauty. The quiet, scenic Roanoke River winds its way just eight miles north of town, luring those who enjoy fishing, hunting, boating and the great outdoors. Carefully tended farmland and hunting preserves flourish with white-tail deer, wild turkeys and enough wild game to satisfy even the most avid hunter. There are several guided hunting serivces in the area that can help to make your visit to Scotland Neck a memorable experience. The art of wildlife preservation is practiced in Sylvan Heights Waterfowl, a seven-acre facility that houses more than half of the world's known species of ducks, geese and swans, along with rare species of parrots, cranes and other birds. 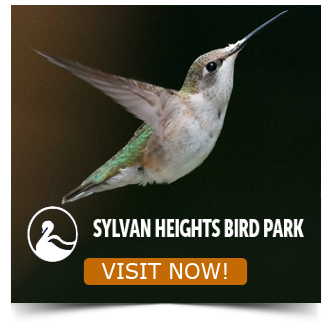 Sylvan Heights Waterfowl Center houses the worlds largest wild waterfowl breeding collection. Acres of rolling hills and plentiful water create the perfect setting for golf at Scotfield Club, which also offer tennis and swimming. Lake Gaston, a regional center for water sports, is just 45 minutes away and North Carolina's renowned beaches are an easy three-hour drive. For more metropolitan entertainment and shopping, North Carolina's capital city Raleigh and the Virginia capital, Richmond, are just a 90 minute car ride away.